Dear participants of the project VATIKAM! Irina Donchik (Russia, Krasnoyarsk) - 10 votes. Natalia Novikova (Russia, Moscow) - 7 votes. 3rd place: Natalia Domenetskaya (Moscow) - 4 votes. According to decision of the President of the Association VATIKAM a special prize in the form of placement of portfolio in the section "Favorites" on the website and an honorary diploma are awarded to an outstanding artist and teacher Valery Makovoy (Latvia, Riga). A special diploma is awarded to the youngest participant of the contest Anastasia Tretyakova (Russia, Belgorod), we wish her to learn, to grow, to develop her talent further! 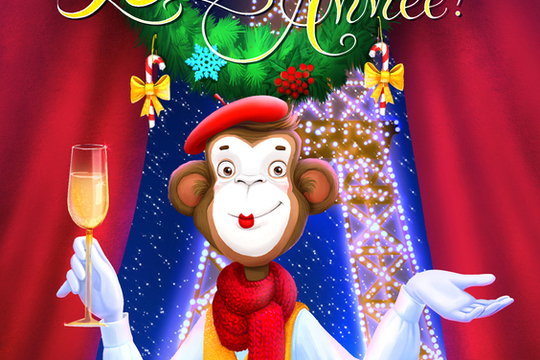 Congratulations to the winners and laureates of the contest "New Year card"! It was for us great aesthetic pleasure to look through your works on the winter holiday theme. We are sure that the visitors of our website also received joyful mood and felt approach of the holiday. Thank you for participating in the contest! Thanks to all authors for their active participation in the New Year contest!